Maine State Library, Museum and Archives officials invited people to bring in war mementoes for scanning so that the public would be able to see many of them online. AUGUSTA — The late Roscoe Chase had permanent burns from a German mustard gas attack, a scar on his back from a gaping bullet wound, and shrapnel in his chest to show for his service as a U.S. Marine in France in World War 1. On Saturday morning, Maine State Library, Museum and Archives officials helped his daughter, Mary Ann Vinton, of Phippsburg, preserve documents, banners, medals and other memorabilia from her father’s service in the war digitally, so they can be saved, not just for her family, but also for students, researchers and future generations to be able to see, online. As part of efforts to commemorate the upcoming 100-year anniversary of the end of World War I, state officials hosted a daylong “scanathon” Saturday to record and preserve family-held photographs, diaries, scrapbooks, banners and other items related to Mainers involved in the war effort. Vinton was one of several people who, before noon, had their very much nondigital items, such as yellowing documents and photographs, scanned in and digitally preserved. 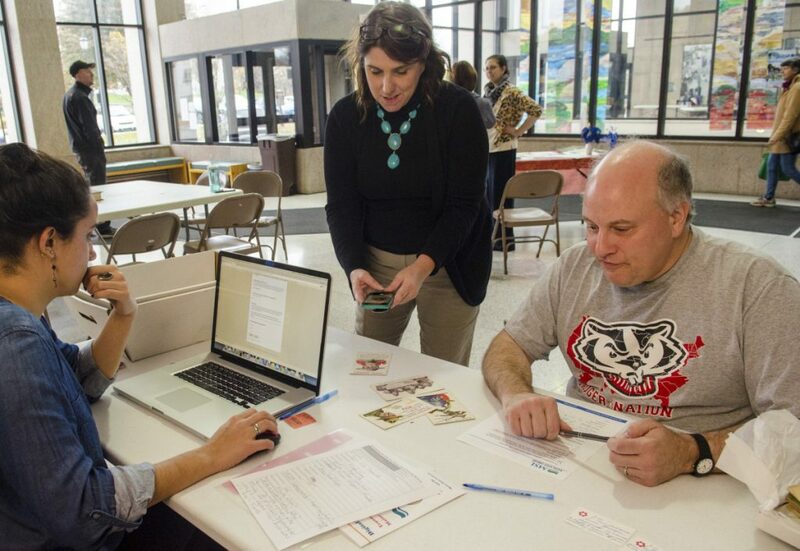 If participants just wanted to keep the digital versions of their family items to themselves, that’s fine, and it would done at no charge, said Adam Fisher, director of collections development at the Maine State Library. 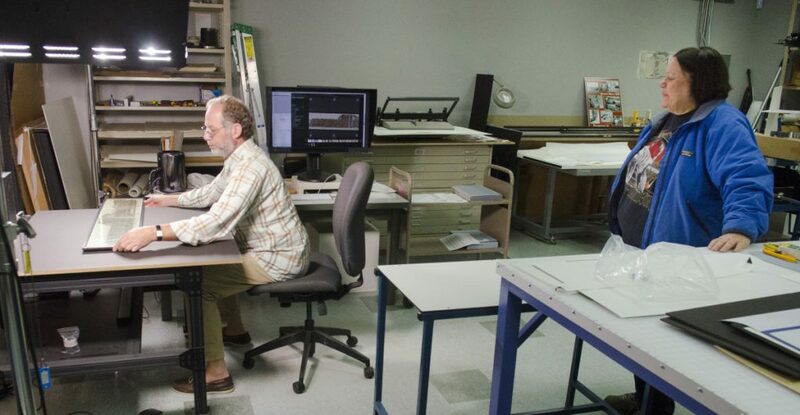 But if they were willing to share, and the documents have historical value, they’ll also be preserved and posted online at digitalmaine, the state’s repository of digitized historical documents. Fisher said the effort is a newly emerging model for building historic collections. The previous model, he said, generally relied on families, churches and other organizations giving historical documents to historians. But he said that left an unknown — and likely large — number of items sitting in people’s attics or scrapbooks, where they might never be seen other than by the family members keeping them. By scanning in items that are then returned to their owners, a much larger online collection can be built than ever could be acquired, item by item. Vinton, who just a month ago traveled to France with her two sons to walk in the battlefield footsteps of her late father, said she thinks it’s great that his service will be memorialized online, where future generations can learn about the sacrifices made in the war. She said both her parents were patriotic and both hated war. She has the original field hospital notes describing her father’s wounds, though she said she didn’t bring those with her Saturday because they are too fragile. She brought his service flag and his Marine Corps banner. She also had about a half-dozen medals, including his Victory Medal, with its rainbow-colored ribbon. And she brought his worn dog tags and his “marksman” pin. Pamela Poisson, of Farmington, also had a Victory Medal with her Saturday. It belonged to her late grandfather, William Thomas Hawkens, who was born in Hallowell, served in World War I in the Army, and worked as a granite cutter in North Jay for most of his life. Poisson’s grandfather and grandmother married June 30, 1918, in the morning. Her then-23-year-old grandfather left for boot camp at 5 p.m. that same day, a few months before the end of the war. Poisson brought in a panoramic photograph of her grandfather, with numerous older soldiers, on the day they finished their basic training, as well as other documents and photos. Fisher said anyone not able to make it to Saturday’s daylong “scanathon” with their World War I photographs and documents and who has a potentially historic item to have scanned in and preserved can call 287-5620 to set up an appointment to do so. Also, Fisher said the state always is looking for volunteers to help scan in materials. He said it is easy to learn how to use the equipment, including a large scanner with cameras positioned at multiple angles, which cost roughly $50,000. Christine Pittsley, project director for the Connecticut State Library’s World War I commemoration activities, helped Maine officials Saturday. Connecticut started a similar program four years ago. 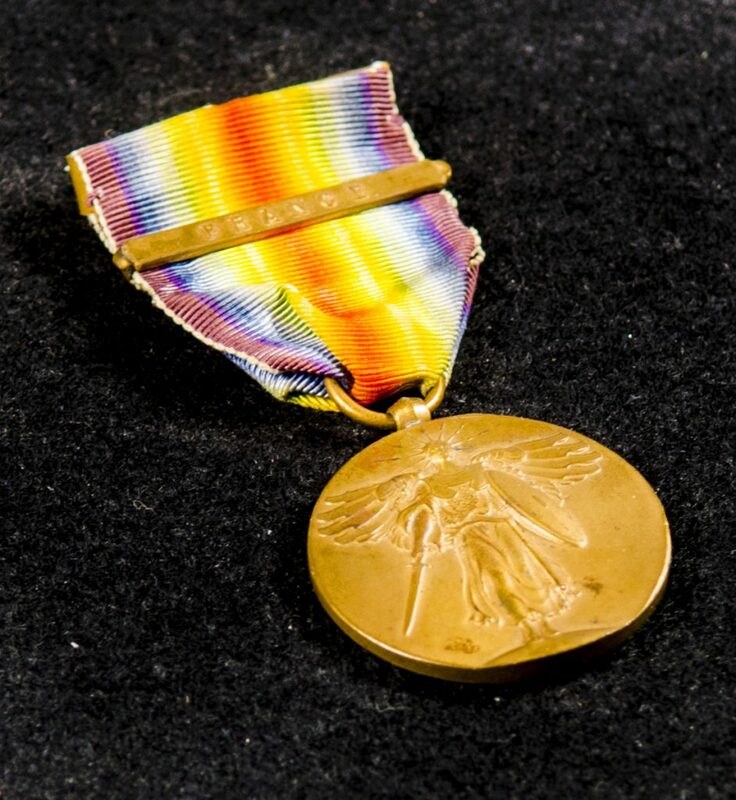 This year the Maine State Museum has had an ongoing exhibit of Maine-related items from World War I, curated by Angela Goebel-Bain, curator of historical collections for the state library, which closes on Veterans Day, Nov. 11. That same day, which is also Armistice Day, marking the was’s end, the Cultural Building will host a day of World War I-related events including presentations by re-enactors, talks by historians and a ceremonial wreath-laying, according to Joanna Torow, chief educator for the state museum. Maine native and Massachusetts professor Mark D. LeBlanc, author of “From Maine to France and Somehow Back Again: World War I Experiences of John M. Longley and the 26th Yankee Division,” a biography of his grandfather, who was from Anson, was on hand Saturday to talk about the subject of his book. He said his grandfather, whom he recorded speaking about his war experiences on a 28-minute cassette tape when Longley was in his 90s, otherwise never talked about the war. He has since digitized the recording of his grandfather’s voice. LeBlanc said his grandfather and his fellow troops hid in caves in Chemin des Dames in France during the day to avoid artillery fire. Later at a battle at Château-Thierry, his grandfather was one of 36 of 250 men, most of whom were from New England, who emerged unhurt. He said his book and the digitization project are about preserving the stories of the sacrifices of World War I soldiers. He said etchings found in the caves indicated the soldiers were worried they’d be forgotten.